Social media is the marketing tool of this era. Just like radio or TV, there are prime times for reaching the maximum number of people and making your marketing activities have an impact. Different social media platforms have different prime times. Those times are when most people are active on the platform and are likely to see and interact with your posts. As a marketing executive running and managing social media campaigns, it is important that you learn the best times to post content for the best results. The best time to post on different social media platforms also depends on the industry you are working in. Different industry posts should be posted on certain days and at certain times so as to reach the maximum number of ideal buyers possible. Why is Timing Important in Posting to Social Media? As a marketer seeking engagement on social media, it’s important that you take into consideration the time of day that you post marketing messages. Most people get on social media when they aren’t busy. For example; early mornings, lunchtime and after work are the best time-windows to capture a large audience on social media. Early morning and late evening are times when people are most likely on their commute home. At lunchtime, most people are passing time waiting to get back to work (and don’t forget the differences in time zones). You may think since it’s morning at your location, it’s a good time to post. However, you may find that a significant portion of the people you hope receive your post are still asleep or busy at work, and might not engage with your posts. Different industries should publish their social media posts at different times for more reach and effective engagement. Also, different social media platforms are busiest at different times. The best time to publish your post on Facebook isn’t going to be the best time to publish on Twitter or Instagram. With this information, it is important that you identify the best time to publish on social media. This will help you meet your goals and create traction with your targeted audience. With that, here’s some industry data we’ve pulled for you. When working in Facebook, it’s important to keep in mind that the Facebook algorithm changes no longer gives priority to sponsored posts and instead let users engage with their friends more. 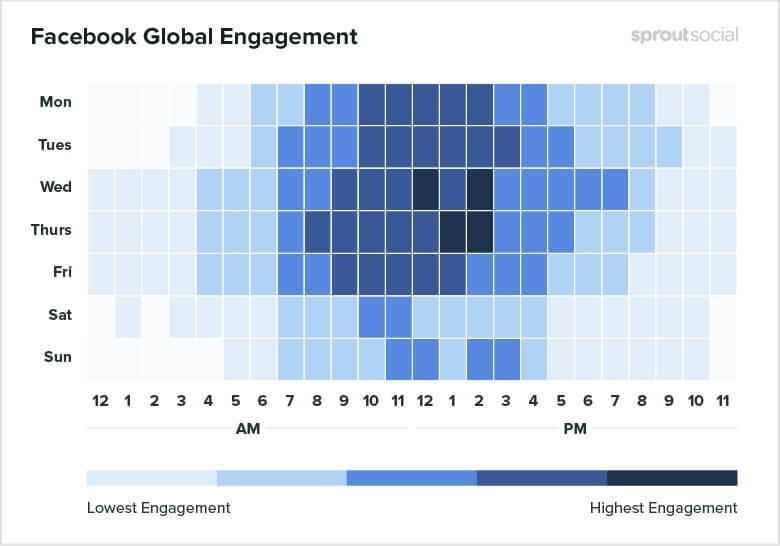 Based on a Sprout Social survey, Thursday seems the best day to post on Facebook. In addition, posting between noon and 2 pm on both Wednesday and Thursday will get you more eyeballs and engagement. On the other hand, the worst day to publish your post on Facebook is Saturday, while early mornings and late evenings are the worst times. Wednesday’s and Friday are the best days for you to post, while Sunday should be avoided completely. Your posts will also find more engagement if you post them between 9 am and 4 pm on weekdays. Thursday afternoon is the best day and time for Facebook marketing. Fridays and weekends are best left to other activities. 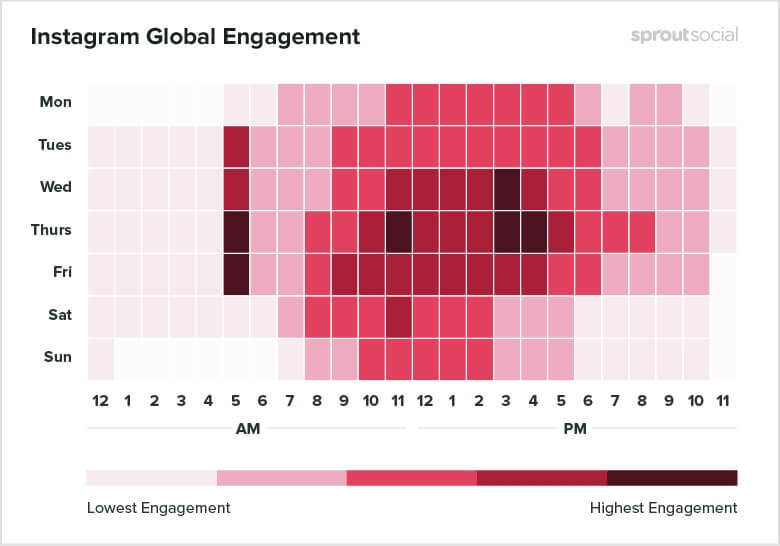 Healthcare practitioners have Fridays as their best day to garner engagement, especially if they post at noon, while Saturdays will see little engagement on their posts. 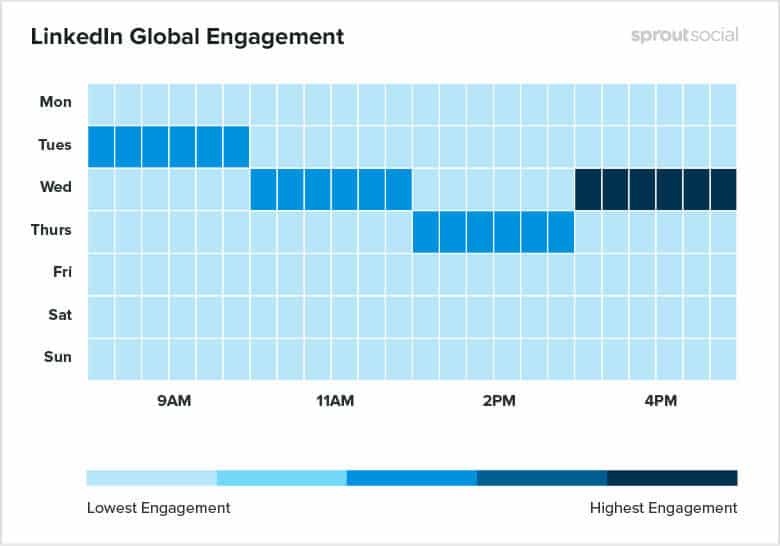 Monday and Tuesday are the best days for tech companies to get engagement on Facebook, especially if they post between 10 am and noon on both days. Saturdays are their worst days. Thursday and Friday are the best days for consumer goods businesses while Saturdays are their worst. 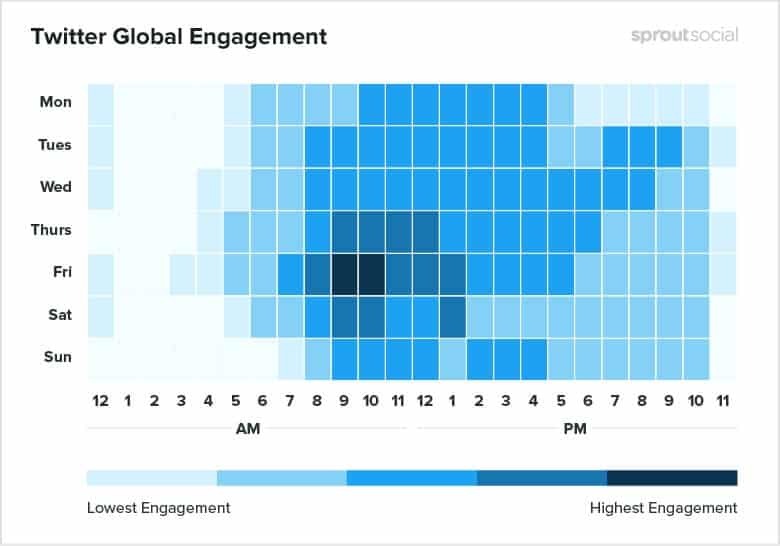 From the data, we can see that people are often engaged in social media while at work. At home, most people aren’t able to get on social media. That’s why evenings, early mornings and Saturdays are poor Facebook engagement days. If you have visual content to share, such as photos or videos, Instagram is the best social media platform. Online marketing experts agree that the majority of people are likely to buy from a business that they follow on Instagram. Like Facebook, the best day to post on Instagram is Thursday. Surprisingly, early mornings at 5 am are a great time to post. You’ll also get maximum exposure in the afternoon. However, Sundays are the worst day to publish on Instagram. Friday afternoon is non-profits best time to post on Instagram, while Saturday’s are generally the worst. For academic institutions, Mondays are the best for exposure. Avoid posting advertisements on Sundays because you’ll most likely get a paltry 10% exposure versus what Mondays offer. Healthcare institutions have poor engagement on weekends, however, you get a good time window starting from Tuesday till Thursday. Do you own or run a tech company? Wednesdays and Thursdays are the best days to publish content. However, publishing content on weekends won’t draw any eyeballs to your products. Unlike Facebook, Saturday is the best day for Instagram posts for consumer goods companies. Twitter is no doubt the most interactive social media platform. Organizations should always watch their Twitter accounts and respond quickly to clients and potential client’s questions. So, what’s the best day to publish on Twitter? Friday mornings at 10AM. Like on Instagram, the best day for educational institutions to post on Twitter is Monday, while Sundays are the worst. For healthcare organizations, they can take advantage of Twitter on Wednesday. Fridays are the best days for tech companies to seek interaction and engagement on Twitter. Consumer goods companies often get the best exposure on Saturday afternoons since most people are just at home chilling on the couch. Twitter is also a great platform for customer support. Customer feedback coupled with the timely provision of information by the company on the platform has benefited lots of companies by providing free marketing through responses or conversations that go viral. When it comes to social media talk, LinkedIn rarely gets mentioned. However, there is a lot of marketing content shared by organizations on the platform. LinkedIn is excellent for B2B lead generation. As a lead generation platform to market individual skills and competencies, organizations rely on this site to look for individual professionals to incorporate into their organizations. While unique, it also mirrors other social media platforms as it has specific days and times that guarantee increased engagement with content published on the platform. The same survey we came across earlier indicates that Wednesdays get the highest exposure. When you’re aware of the time windows that create the most interest for your industry, you’re able to create and post timely content that engages with your target customers and drives them to perform the action that you want. For example, say you are a business owner who wants to announce a ‘happy hour’ sales promotion at your physical store. Knowing the ideal time to capture a large target group for your happy hour sale is highly important to creating the highest buzz for your party. Twitter is the best site for customer complaint handling because it is highly specific and its users expect an immediate response. LinkedIn as a social media site is used for low-key marketing of products by consumer goods brands while B2B companies prominently show how their products affect other companies that they interact with. When tracking your social media results and activity, you can confirm that the right times recommended by numerous digital marketing experts are true (use competitor research to confirm this data as well). Posting at specific times ensures that you are capable of managing your digital marketing activities with ease. Your content plan will engage your audience at a much higher level. By carrying out your own social media analysis, you can identify the best times for your particular type of posts. Social media use is a personal activity and as such varies from one person to another. That’s why each brand uses a unique approach to reach its audience. Take for example a customer who recently had a negative experience with a brand. They’re not likely to engage with any marketing activities of the brand until they get over the negative experience they had. Consistent posting and thorough analysis will help you identify the best time for you to reach and delight a target audience who’s had a negative customer experience. Social media is used to promote different products. It’s also the best marketing platform for bloggers. Posts from regularly updated blogs with a loyal following do better when promoted through different platforms. The captured audience is often patiently waiting for a notification on their preferred social media platform to jump into action as soon as there is a post. 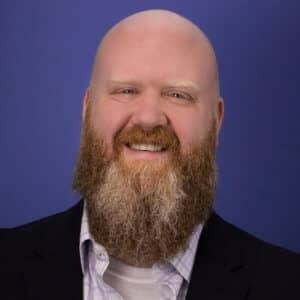 Most businesses that experience low conversion on social media often have a common problem of offering information on products or services only. Use the cocktail party rule to interact with people. Nobody likes it when a person at a party just talks about themselves. Ask questions and engage. For instance, when using social media to respond to your clients, do it in a natural tone. Sometimes it can get humorous, depending on the situation. When publishing on social media, whether for marketing or a different purpose, post with your audience in mind. Followers on social media, follow you for a specific reason: they are interested in your content. If you have a hooked audience, you can post at any time. A content posting schedule helps take away the headache of having to remember the best times to post. By using a specialized program like Sprout Social, you are able to plan your posts in advance and schedule them to publish at a specific time. A posting schedule also conditions your audiences to be ready for content from you on a certain day of the week at a particular time. Creating one helps you allocate more time for better research on new and better content. Different industries interact with social media differently. As seen on the best times to post survey results, it is important that you consider how often and how useful social media is for your industry. How are your competitors doing on social media? What time do they post their content and how much engagement are they getting posted? Check out what your competitors are doing. You can borrow their best practices and incorporate them into your social media strategy. Why is this necessary? Because doing this enables you to replicate or come up with even better results. To gain the engagement that you crave for, make your social media posts appealing. There are several ways to do this. You can make your posts interactive for example; post riddles and games that your audience can answer in the comments and offer prices for the correct answer. To stand out from your rivals, add videos and appealing images. It’s the best way to seize the imagination of your audience and motivates them to interact with your content. Posting at the wrong time is the main reason why businesses get little to zero conversions. Your content scheduling strategy will help you combat the challenge of time zones. We will provide you with a picture of your website's search engine presence.